We profile each of the forthcoming tours below, but first, a quick look back at our long relationship with Hong Kong. Our relationship with the arts in Hong Kong can be traced back well over 50 years. Indeed, Sir Ian Hunter – Chairman of Harold Holt Ltd from 1953 to 1988 – founded the Hong Kong Arts Festival in 1973, presenting artists ranging from Elisabeth Schwarzkopf and the London Philharmonic Orchestra, to the Royal Danish Ballet and the pop star Lulu. 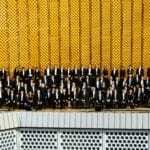 When the Hong Kong Cultural Centre (HKCC) opened in 1989, Harold Holt Ltd brought both the London Philharmonic Orchestra and Cologne Opera to perform at the centre’s inaugural programme of events: their International Celebration of the Arts from 5 November to 6 December. The celebration also included the first ever Hong Kong performance for guitarist John Williams. In more recent years, we have brought a wide range of touring partners to Hong Kong, including: The Philadelphia Orchestra & Yannick Nézet-Séguin; the Cincinnati Symphony and POPS Orchestras & Louis Langrée; the Royal New Zealand Ballet; the National Youth Orchestra of the United States of America & Charles Dutoit; and the London Symphony Orchestra & Daniel Harding. 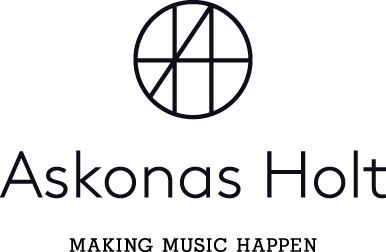 Askonas Holt artists performing in Hong Kong this season include: Long Yu, Principal Guest Conductor of the Hong Kong Philharmonic Orchestra; Xuefei Yang; Nicholas Carter; Sir Simon Rattle; Magdalena Kožená, on tour with La Cetra; and Jian Wang. 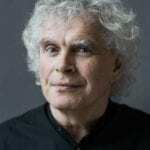 Beginning their extensive tour of Asia, the Berliner Philharmoniker and Sir Simon Rattle will give two performances at the Hong Kong Cultural Centre, on 10 and 11 November, before continuing to Guangzhou, Wuhan, Shanghai, Seoul, Kawasaki and Tokyo. Performances in Guangzhou and Wuhan mark the orchestra’s debut in those cities. Sir Simon and the Berliner Philharmoniker will perform two distinct programmes, featuring works by Strauss, Brahms, Ravel, Stravinsky and Rachmaninov, as well as the Asian premiere of Unsuk Chin’s Chorós Chordón. Commissioned by Sir Simon and the Berliner Philharmoniker, the world premiere will take place just one week before, at the Philharmonie Berlin on 3 November. The tour features two exceptional soloists: 2015 Chopin Competition winner Seong-Jin Cho in Hong Kong and Seoul, and Yuja Wang in Guangzhou, Wuhan, Shanghai and Tokyo. Askonas Holt, and formerly Harold Holt, have organised the Berliner Philharmoniker’s tours to Asia since the early 90s; the most recent in 2016 with performances in Taipei, and a complete Beethoven symphony cycle at Suntory Hall in Tokyo. This year’s performances in Tokyo mark the 25th anniversary of our first tour to Japan with the orchestra; a Brahms cycle conducted by Claudio Abbado, with soloists Alfred Brendel and Viktoria Mullova, in January 1992. The orchestra’s first appearance in Hong Kong was in 2005, as part of a tour that also included debuts in Shanghai and Taiwan. Sir Simon Rattle conducted two concerts at HKCC, with works by Berlioz, Ravel, Beethoven, Haydn, Adès and Strauss, and the whole tour was documented in a film by Thomas Grube, Trip to Asia. Next month’s tour holds even more special importance, being the orchestra’s final tour of Asia with Sir Simon as Music Director. For their first appearance in Hong Kong for nearly a decade, one of the world’s leading contemporary dance companies will give two performances at the Kwai Tsing Theatre, presenting Crystal Pite’s In the Event, Paul Lightfoot and Sol León’s Shutters Shut and Safe as Houses, and Marco Goecke’s Woke Up Blind. Watch excerpts from Woke Up Blind in the video above. This will be the second Asian tour that we have arranged for NDT 1 in the last four years, and sees the company return to Beijing’s NCPA and Shanghai’s Grand Theatre between 27 October and 5 November, before performances at the Kwai Tsing Theatre on 11 and 12 November. Performances of Cape Town Opera’s critically acclaimed Mandela Trilogy take place at HKCC on 17, 18 and 19 November, marking the company’s debut in the city. Headlining the Vibrant Africa festival, Mandela Trilogy performances are accompanied by an exhibition, a foyer performance including traditional music and works by Verdi, Strauss, Bizet and Gounod, a ‘meet the artists’ session following their second performance, and extensive education work in secondary schools. The accompanying exhibition opens on 8 November, and offers a thought-provoking introduction to the main characters and scenes from Mandela Trilogy, providing deeper understanding of “father of the nation” Nelson Mandela. First presented in 2010 under the title African Songbook: A Musical Tribute to the Life of Nelson Mandela, Mandela Trilogy is composed by Péter Louis van Dijk and Mike Campbell, and has previously been performed in the UK, Italy, Ireland, Germany and South Africa. Bon voyage and toi toi toi to our touring partners, all artists and our AH teams!